What are some of the world’s most brilliantly executed designs in hotel swimming pools? The Grand Islander amazing pool in Hawaii. 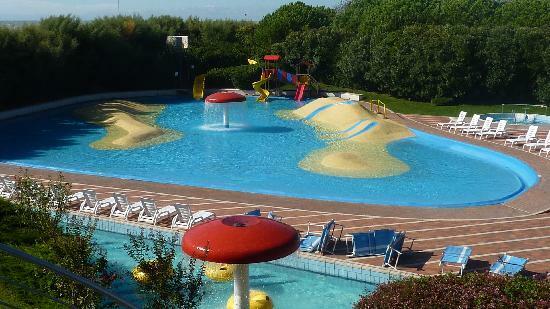 Union Lido Park & Resort’s fun-filled pool in Italy. Galaxy Macau Resort & Casino’s awe-stricken pool in China. Lefay Resort’s chic pool in Italy. The Grand Hotel Duchi D’Aosta’s breathtaking pool in Italy. I’M Hotel’s fantastic Infinity Pool in Manila. One of the many key marks of luxury for any hotel is without a doubt, their swimming pool. Some of the world’s most prominent establishments in leisure all have the commonality of having an artistically crafted swimming pool. 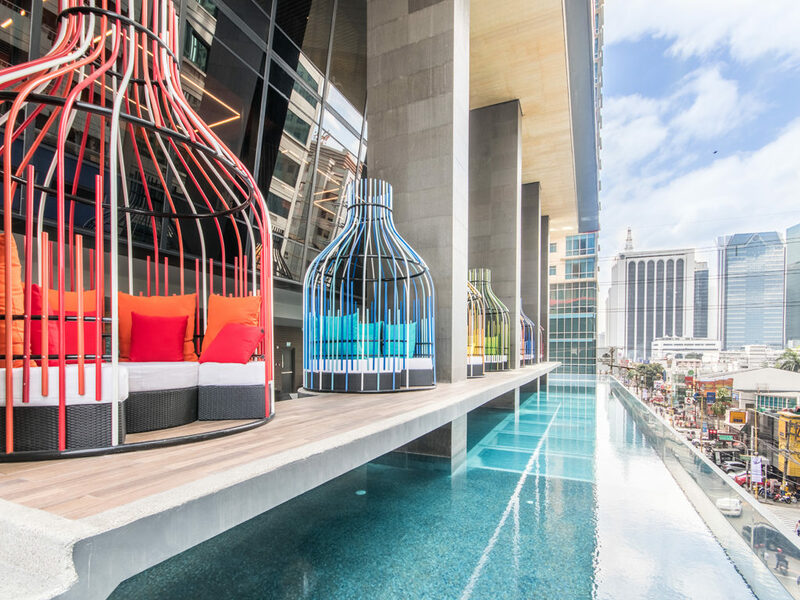 These amazing pool designs have become the standards for 5-star hotels in Manila. Depending on a hotel’s targeted clientele, swimming pools need to strike the perfect balance between calm and playful fun for the family and kids. The perfect pool is always ideal for lounging under the sun and as well as under the night sky. Arguably, the best among the many hotels in Makati with pool is I’M Hotel’s Infinity Pool. It is a wonderful fact that the brilliant minds behind some of the world’s most astounding swimming pools are continuing to influence each other and build off one another’s ingenious ideas when it comes to both beauty and active space. The Grand Islander in Hawaii utilizes their outdoor space to really maximize a sophisticated refinement. Close to the famous Waikiki beach, the hotel has 2 distinct pools layered with a beautiful mosaic lining that is an utterly accentuated delight. There’s a modern richness to both the circular and rectangular spa pools. The overall design that surrounds the pool is completely stylish in its harnessing of tropical elements. The Union Lido Park & Resort found and constructed within the Cavallino municipality in Venice, Italy, has a pool that is perfect for those who love outdoor holiday activities. The resort has a campsite that extends along the coast. Another interesting aspect about how the outdoor sectors of this resort are laid out is that they are strategically planned and displayed in such a way that fits to diverse sets of clients’ tastes. But the definite specificity of their pool is directed towards children because of their colorful and boisterous Water playground. The Galaxy Macau Resort & Casino in China has one of the most prestigious swimming pools in the world. Definitely exceptional in that it is a large-scale wave pool with heavy-duty refurbishment. The river-like pool also comes with accessories, such as volcanos and falls. But the definite center attraction is the methacrylate bridge—the see-through bridge that passes through under the water. 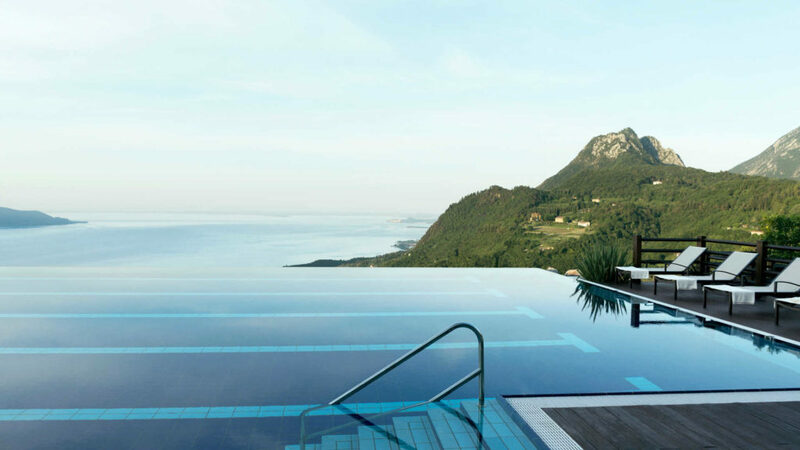 Lefay Resort’s Myrtha-constructed pool in Gargnano, Italy is as enchanting as it gets. Located by the Riviera dei Limoni, the pool’s image is beautifully blended with the hills and olive trees that cover the woods—a brilliant example of capitalizing off the landscape. There’s a strong sense of love and coordination with Mother Nature with how the pool is integrated. In the evenings, the pool is beautifully illuminated with LED lights. Finally, the pool is accompanied with aesthetically pleasing and practical waterfalls and geysers; and finishes with a high-powered hydro massage system. The Grand Hotel Duchi D’Aosta is found in the historical lands of Trieste in Italy. The pool is surrounded with the exclusivity emitted by the great structures of Thermarium Magnum. The brilliant pool is encompassed by coatings of priceless mosaics made in marble—topped off with picturesque waterfalls. Despite the historical richness of the façade, the pool is powered by computer HI FI systems of utmost technological advancement. Within the heart of Makati is I’M Hotel’s unique sensorial experience of their signature Infinity Pool. The absolutely iconic elevated pool is definitely one of the city’s highlights. The acrylic-bottomed pool is one of the perfect spots to take a dip in while at the same time getting a good view of the beautiful Makati skyline. What makes the pool even more splendid is the surrounding amenities that I’M Hotel has to offer. The amazing dining experience within I’M Hotel is a perfect match for an afternoon swim. Plus, the guests will definitely be blown away by their one-of-a-kind service and artisan Onsen Spa. The common factor between all these designs is the radiance of relaxing airs both by and in the water. Many of the 5-star hotels in Manila take their pool designs from the main guiding principles of these renowned resorts. It’s also clear that there is a great importance when it comes to climate and geography specificity, especially for urban pools. Another crucial note is that the services and amenities within the hotel play a determining factor when it comes to how guests enjoy the hotel’s pool. When looking through the many hotel pools in Makati, it is clear that there is nothing more innovative than the aesthetic brilliance of I’M Hotel’s Infinity Pool.